Cecelia Nosel has brought awareness surrounding the opioid epidemic and the importance of medication safety with the “Take It To The Box” media campaign. Emilie Gifford began volunteering at The Relief Zone (TRZ) in 2000 for the Saturday Teen Outreach Program (STOP). Emilie has also served on TRZ’s board of directors for more than five years. Currently she is the vice president of the board of directors. Emilie volunteers at TRZ fundraisers, work/project days, and offers expertise and insight to TRZ’s director and staff members. As a board member she is able to be part of the decision-making process regarding programming & personnel, fundraising and finances. All of these set the stage for the success and future of the organization. Volunteering at fundraisers on work days displays Emilie’s commitment and passion for the mission of The Relief Zone. Her caring, loving attitude is displayed and sets a positive example for others. Lynn Reale has served on the Board of Family Service of the Chautauqua Region for the past six years. She has brought invaluable experience and knowledge as a Human Resource Specialist. Lynn served on the HR committee for six years, the past two years as chair of the HR Committee. She guided FSCR through adapting several policy updates to the employee handbook, keeping current on the ever-changing environment of Human Resources. Lynn has also been an active contributor to the annual fundraisers and special events. On behalf of the entire staff at FSCR, we wish Lynn all the best and a BIG thank you for the years she has volunteered for our organization. Cynde Johnson has been a CASA volunteer for five years and has shown remarkable dedication and commitment to our program during this time. In the last five years, Cynde has worked three cases involving four children, from 18 months old to 8 years. Cynde can be described as the ideal volunteer, maintaining contact with her children, being keenly aware of the details of the court case, rarely missing in-service meetings, and submitting court reports without prompting. She is successful not only because of her experience, but because she keeps an open mind when approaching a case, with an eye always on the best interest of the children. The words “all children deserve a safe, permanent home” are much more than words for Cynde; they are a core belief in the rights of a child. She not only believes but dedicates herself to see that children are loved and protected. Cynde passionately promotes the CASA program to anyone willing to listen. This has not only been helpful in program promotion, but in fundraising. If Cynde learns of a program need, she works diligently to meet the need. The Kiwanis have been offering their assistance to Winifred Crawford Dibert Boys and Girls Club for more than 11 years. Each year the Kiwanis Club sponsors a “Back To School” carnival at our Club. The Kiwanis Club provides funds for prizes and nutritious but fun food. They also run all the games at the carnival, so they get an opportunity to meet the youth members. Kiwanis members also volunteer throughout the year by donating to the Club for our annual “free” Christmas store for members and paper products for the many food services we do all year long. The Kiwanis also send a check each year to sponsor several Club youth memberships and many members have benefitted from their generosity. 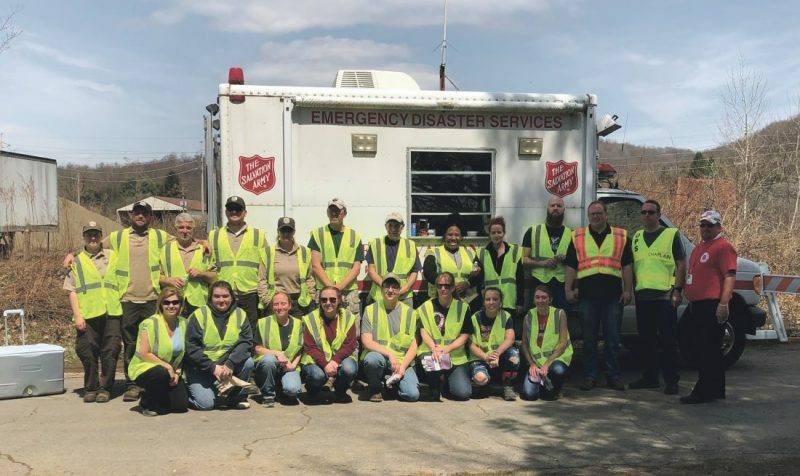 In addition, through their connection to the Key Club at Jamestown High School, several teens volunteer at various events during the year to help us run carnivals and other special events. Cecelia Nosel has been a wonderful participant of the Prevention Awareness Committee, attending monthly meetings in an effort to continue to bring awareness surrounding the opioid epidemic and the importance of Medication Safety with the “Take It To The Box” Media Campaign. As a volunteer on the Prevention Awareness Committee (PAC), Cecelia has worked diligently on developing media print to help inform the public on the different drop box locations that are available throughout Chautauqua County, as well as important messages surrounding safe use, safe storage and safe disposal of unused medication. 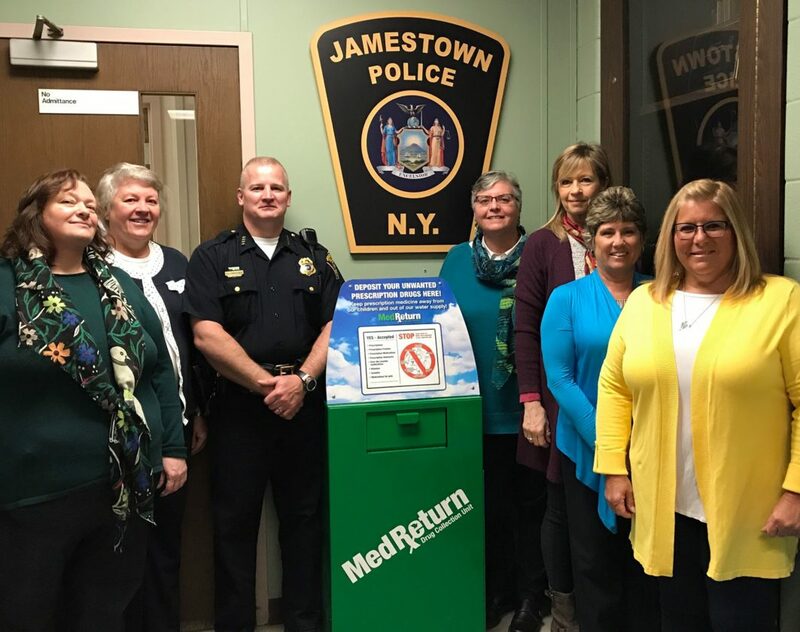 Through the efforts of Cecelia and the Prevention Awareness Committee, we have several partnerships that are now implementing pilot programs for safe disposal of unused medications within their organization. Accessibility and availability to prescription drugs is a concern for our community. If we can have more active volunteers doing the work like Cecelia and the Prevention Awareness Committee we can decrease the amount of unused medication that is out in the community.